This predacious "true bug" feeds on aquatic invertebrates and small fish. It pierces its prey with beak-like mouth parts and ingests the body fluids. 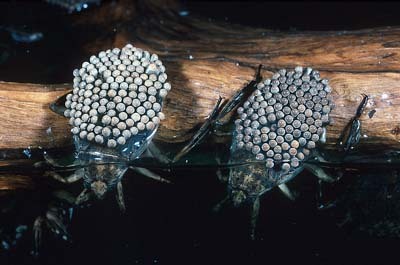 Females of some species lay clusters of eggs on the backs of males who will protect them from predators.